It happens every January. You polish off the last Crunchie from the selection box and go to put the empty box in the recycling bin. You stare into the bin and think: "How in the name of God did I eat five full selection boxes and three packets of mince pies?" Panic ensues, you break out in a non-exercise related sweat and then charge out to join the nearest gym. It's January and once again, your New Year's resolution is to be fitter, healthier and skinnier. From January 2, credit cards are flung across the counters of gyms around the country, in an effort to get rid of mince-pie stomachs and selection-box thighs. Gyms are big business now. Owners are making fortunes from enticing clients to "get fitter", "lose those Christmas pounds", "shift that party-season weight". 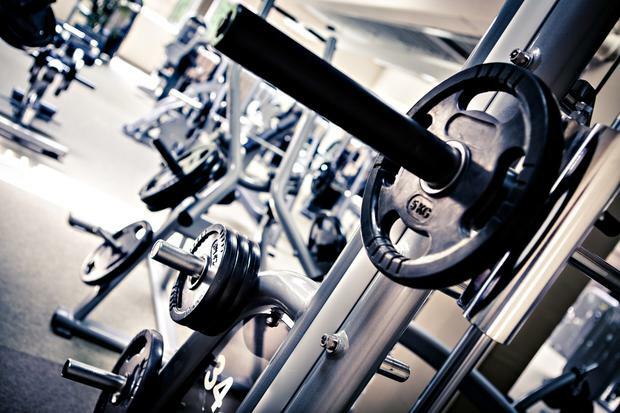 It's now estimated that 500,000 people are members of Irish gyms, with total revenues of about €300m. Eager and determined clients sign up. Personal trainers are booked, classes are joined, work-outs are drawn up - until about February/March, when it all wears off and the thought of trying to coordinate your arms and legs on a cross-trainer surrounded by Lycra-clad gym bunnies makes you want to weep. When your enthusiasm for the gym wanes, you feel guilty because you're not exercising and because of all the money you're wasting. A report from Deloitte showed that people here pay an average fee of €48 a month. There is a free alternative to gyms. It's called nature. Nature has been proven to improve not just physical health but mental wellbeing, too. It's a win-win. You can exercise and feel calmer and less anxious at the same time. Research shows that people living in built-up urban areas can reclaim their mental wellbeing by heading to the nearest park, sitting on a bench, listening to the birds, and soaking in their surroundings. Researchers at King's College London developed a smartphone app called Urban Mind. The app monitors how an individual's exposure to nature affects their wellbeing. Neuroscientist Dr Andrea Michelli says that the app and results of the study found a strong link between exposure to nature and wellbeing. But what it also showed was that the benefits of exposure to nature can last for up to seven hours. So, if you take the dog for a walk before work, or if you walk, run or cycle to work, you can improve your mood and wellbeing for the whole day. Most interestingly, the study found that people who were at greater risk of developing mental health issues, including anxiety and depression, benefit even more from getting outdoors than others. The Japanese have been promoting the healing powers of nature for decades. In 1982, "forest bathing" - also known as Shinrin-Yoku - became part of a national public health programme. Shinrin-Yoku first took root after research showed that spending time in forests promoted lower concentrations of cortisol, lower pulse rate, lower blood pressure and that it decreased levels of hostility and depression. With Irish GPs saying they are inundated with patients suffering from anxiety and stress, we need to get outside more. Getting outside will also boost your levels of vitamin D, which most Irish people are deficient in. Staying indoors can also have a negative impact on your immune health. A Japanese study evaluated the effect of "forest bathing" on immune function. For a group of Japanese adults, a three-day trip to the forest increased the number of white blood cells in their blood. These levels of white blood cells stayed elevated for more than 30 days after their adventure in the woods. Happy mind, happy body, happy person. Save your money, look out of the window, put on your runners and get outside.